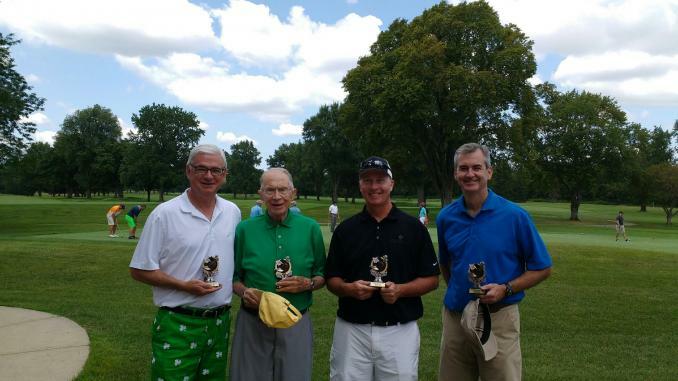 Join Franciscan Health Foundation for our 33rd Annual Golf Outing, now known as the Dr. Robert R. Kopecky Memorial Golf Outing, on Thursday, June 27, 2019 at Hillcrest Country Club. Proceeds from the event will benefit the Education Services Fund. Dr. Kopecky was a longtime Franciscan Health physician who passed away in 2017. Beloved by patients and colleagues alike, he delivered approximately five thousand babies during his career and served as the first Medical Director of St. Francis Hospital after retiring from medical practice. A talented golfer and regular fixture at the outing, we couldn’t think of a better way to honor his memory. Sponsorships and player participation are the core of our outing fundraising. We invite you to support the Foundation by becoming a sponsor, fielding a foursome or signing up as an individual player. For more information on sponsorship levels, please download our 2019 Golf Outing Sponsorship Narrative. Sign-up online with a credit card using our secure registration site. If you prefer to pay offline with cash, check, or credit card, download a registration form and mail, fax, or scan/email the completed form with payment to the Foundation no later than Thursday, June 7, 2019. See registration form for more details.